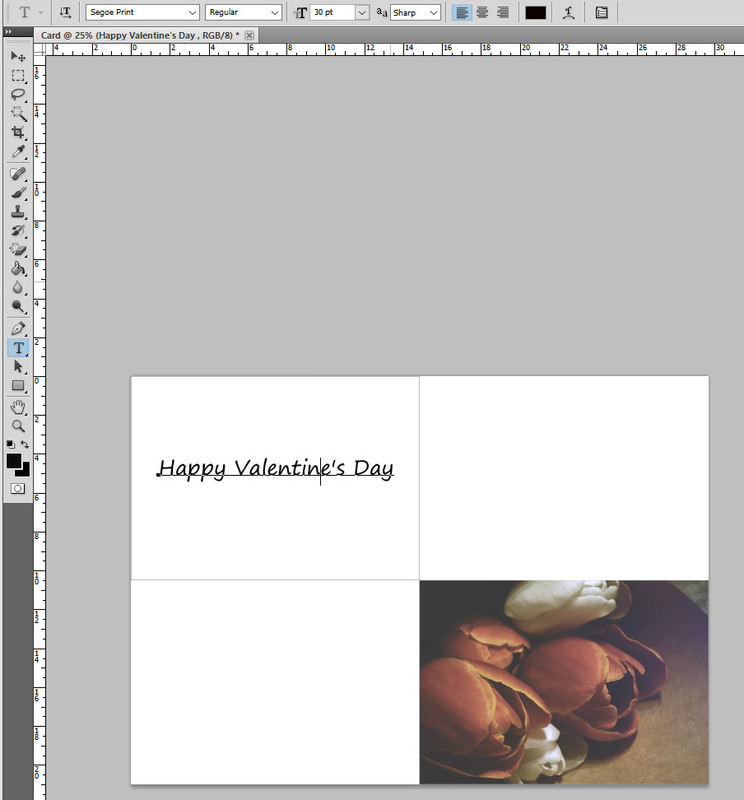 Valentine's Day isn't too far away and as you're a photographer, this gives you the perfect opportunity to use one of your own shots on the front of a card you've personally crafted in Photoshop. Just follow the below steps and you'll soon have a Valentine's Day card you can give to your loved one they definitely won't find on the shop shelf. 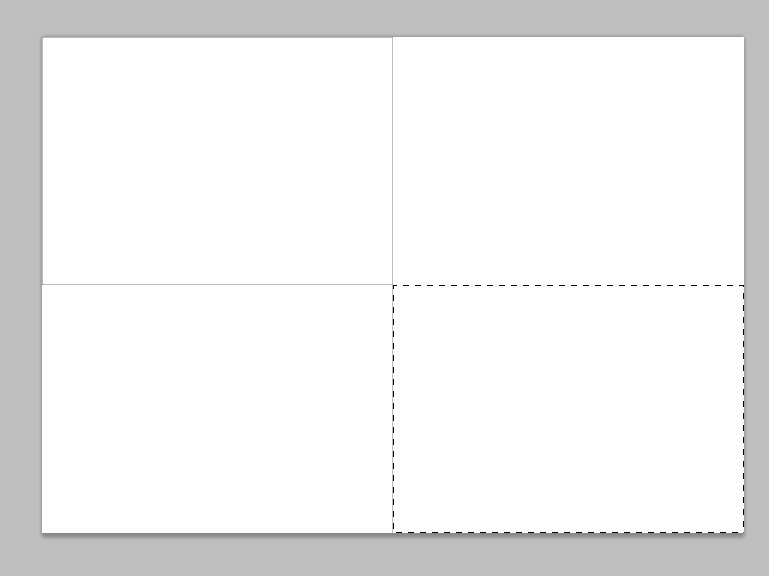 Go to File>New (Ctrl+N) and for a landscape card, in the dialogue box set the A4 paper size in the width and height boxes. From the drop-down choose cm and in the width box key in 29.7cm and in the height 21cm. If you're creating a portrait card you'll need to reverse these figures. Set the resolution to 240 pixel/inch (ppi). 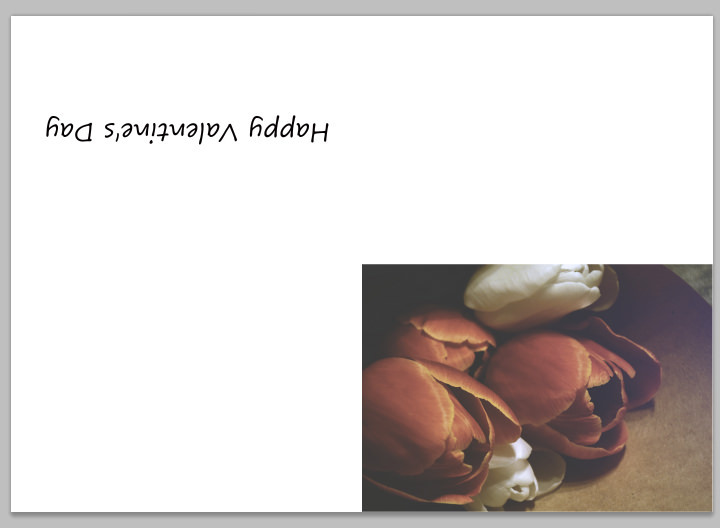 Make sure the background colour is white and rename your new file 'Card'. Colour mode should be set to RGB and 8-bit. Click okay and you will have a blank canvas with these measurements. Create a new layer, we do this so this layer can be deleted when all the elements are in place. To make folding the card easier select the Rectangular Marquee tool (M, Shift + M to tab between the options) and in the menu option across the top of the page set style to Fixed Size and key 148.5mm into the width box and 105mm into the height box. On the canvas, click in the top left corner and a rectangular selection one-quarter of the size of the canvas will appear in the top left. Go to Edit>Stroke and set 1px width, the colour to Black and Location to Centre and click OK. 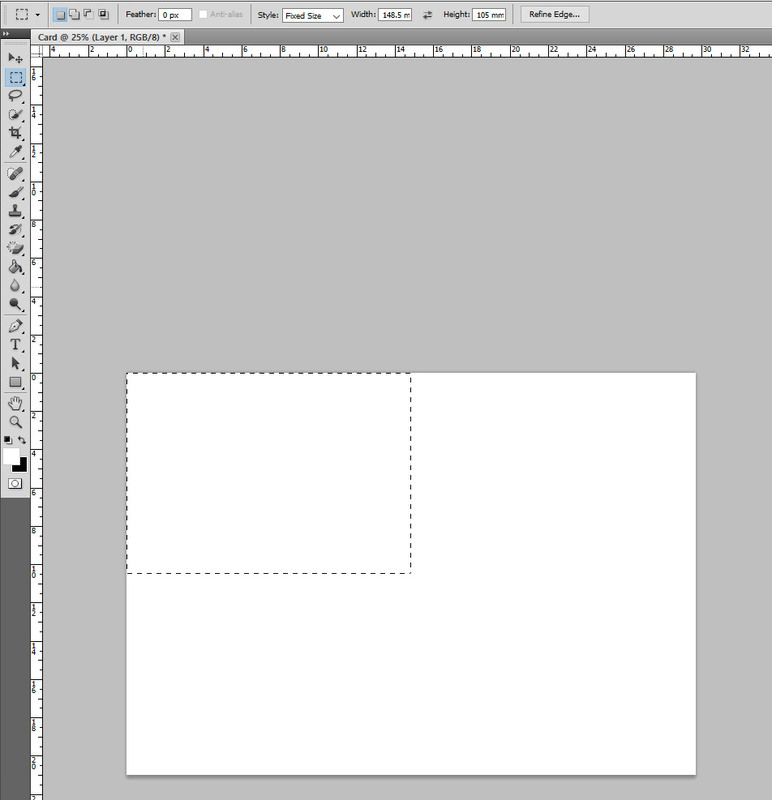 This will create a narrow border around the selection which will appear as a thin line on your canvas. Repeat the last two steps in the bottom right corner and you'll have a rough, but very useful, guide. Select the Magic Wand tool and click inside the bottom right quarter. This will make a selection inside the quarter. 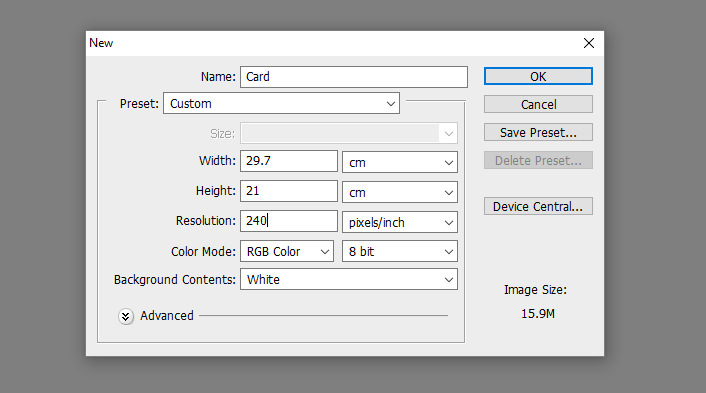 Open the image you want to use on your card and Select>All (Ctrl+A), Edit>Copy (Ctrl+C) and then with the new canvas selected again choose Edit>Paste Into (Shift+Ctrl+V). This will make your image appear inside the selection you made with the Magic Wand Tool. If some of your image is hidden you can use the move tool (V) to put it into place or if you need more accurate control go to Edit>Free Transform and drag the corner handles to resize the photo so it fits better inside the selection. If you hold down the Shift key as you resize, the image will stay in proportion. When the image is sized and positioned correctly double click in the centre to make the change permanent. You now need to select the Text tool so you can add a message to your card. This tool is a 'T' shape and can be found in the tools palette. To add text, click in the top left part of the card. You can edit the font style, size and colour from the options in the top toolbar. Remember the text inside the card needs to be upside down so when the paper is folded the text appears the right way up inside the card. To do this, go to Edit>Transform>Rotate 180 degrees. Then make sure the Move Tool is selected and position the text where you want it. 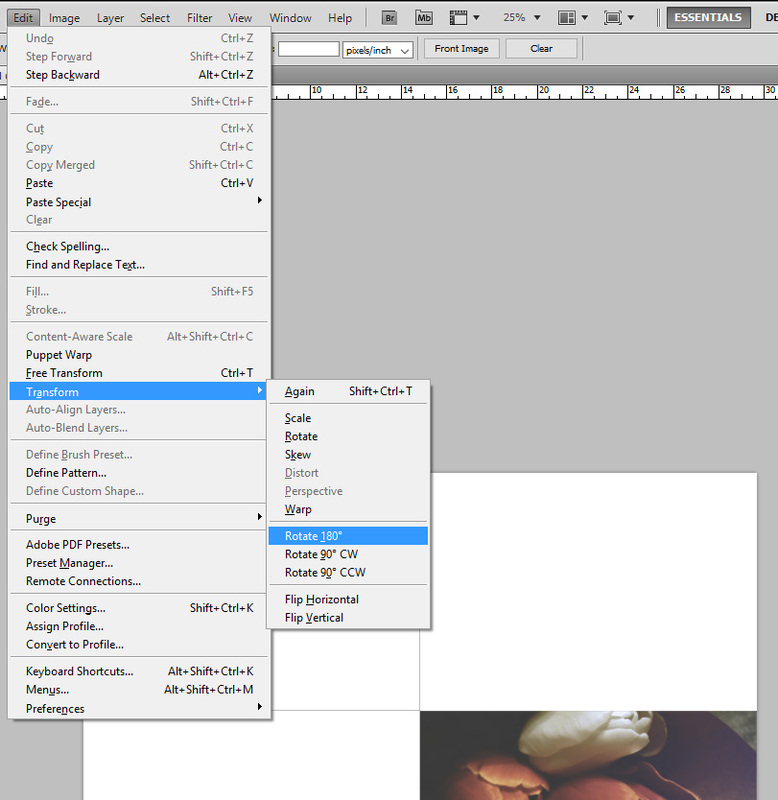 Click on the layer that you created the guide in and delete it. You can hit the delete key on the keyboard or drag it to the waste bin. 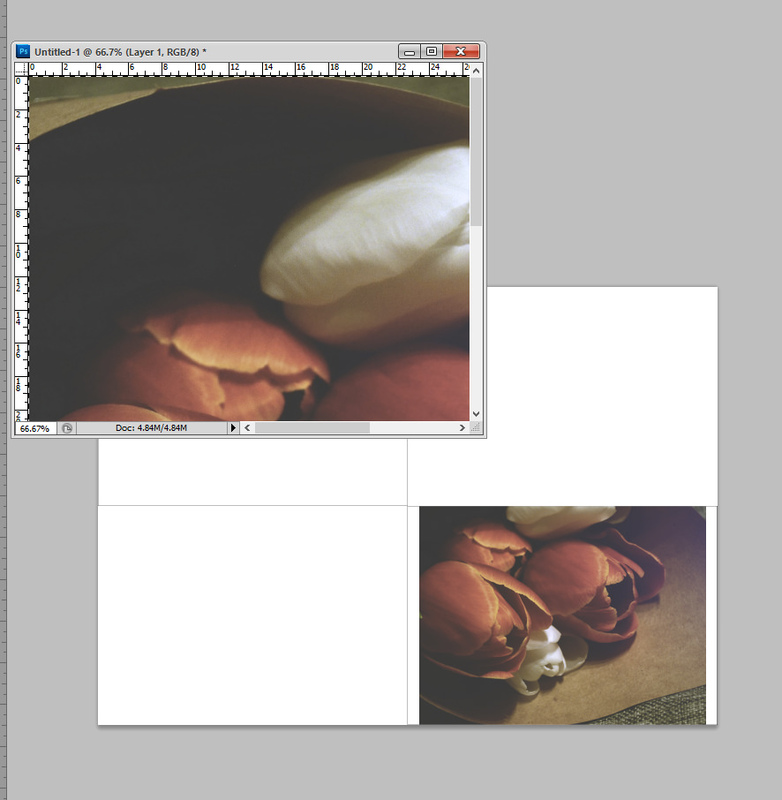 Finally, go to Layer>Layer Flatten then print your card out. You may get a message saying that the image is too big for the paper do you wish to proceed. Click no and go to Print with Preview so you can change your printer settings. 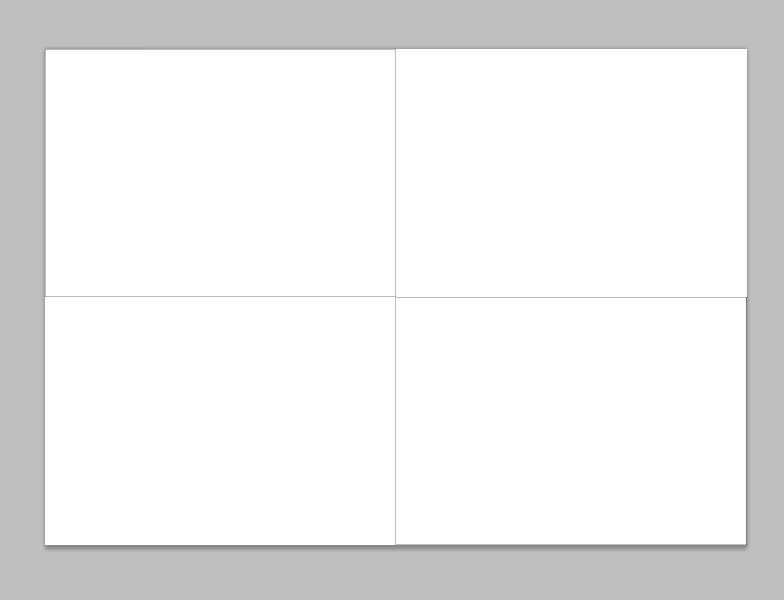 You need to select borderless printing (if the option is available) or Scale to fit Media and trim off the border when it's printed.